It is always exciting to see what celebrations are right around the corner for libraries and their communities. It is a wonderful way to tie in special events, projects, and many fantastic resources to the library and community. In April, there are several including National Poetry Month, Poem In Your Pocket Day, and Earth Day. Two that I am especially excited about are School Library Month and National Library Week, which is April 9–15. This is a time to celebrate our librarians and libraries and everything they bring our students, teachers, parents, and communities. With the themes being focused around transforming libraries and empowering students, these two events will bring so much to our profession, spaces, and patrons throughout this month. It is definitely a time to celebrate. And Cantata Learning is celebrating too, because they LOVE librarians and all they do in their libraries! Here are 10 ways Cantata Learning shows their love for libraries and the learning that happens there during School Library Month, National Library Week, and all throughout the year. 1. Every Cantata Learning title is an unique combination of engaging stories, beautiful illustrations, and fun songs to captivate learners of all ages. 2. 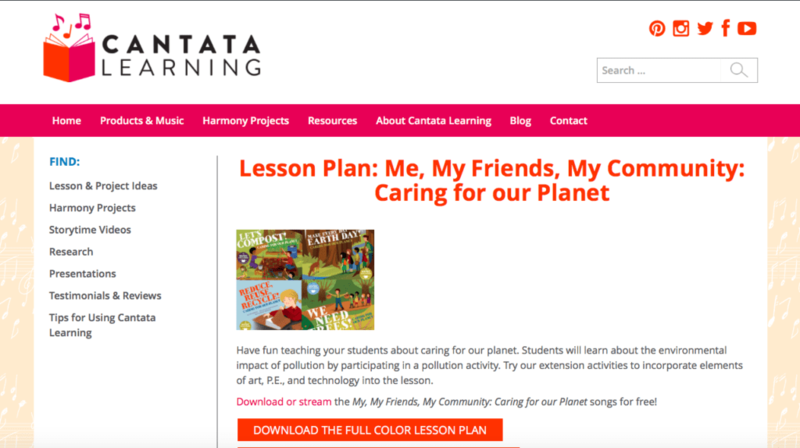 The Cantata Learning stories and songs connect with different areas of the curriculum including SEL (social and emotional learning), social studies, science, math, language arts, STEM, and more! Everyone can learn something by singing along. 3. The music is easy to access from each Cantata Learning book, and is free online. Students can scan a QR code located on the book which will take them to the music online. There is also a CD in the back of each book. This makes it easy for them to access Cantata anywhere. 4. There are wonderfully developed lesson plans that go along with the Cantata Learning books and series. These tie in language arts and reading, but also include fantastic extensions including physical education, art, technology, math, music, and even cooking. These are great to use in the library, but act as a powerful tool for collaborative adventures with classroom teachers too. You can find the current lesson plans, or if you have a lesson plan idea, you can share it. 5. The stories and songs can be shared using the Cantata Learning Storytime Videos. Each video includes on-screen storytellers, playful illustrations, and a sing-along song. 6. Another way to access every song is through the Cantata Learning YouTube channel. This is a great tool and resource for the whole group, small groups, individual access, and sharing Cantata at home. 7. Cantata Learning has sponsored several presentations given through webinars and conferences across the country. 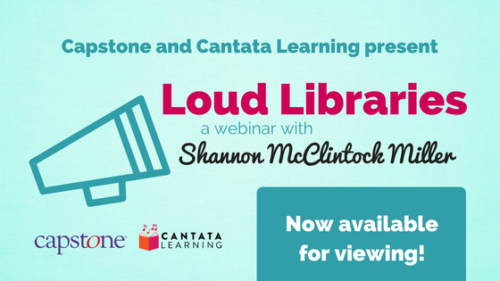 These presentations give you information on how to create Loud Libraries by incorporating music into your library and classroom. You will also learn how music and Cantata Learning enhances learning in so many ways. Please check out the Loud Libraries Part 1 and Part 2 webinars, along with the conference presentations. 8. Speaking of Loud Libraries, you can also find and share ideas with the #LoudLibraries hashtag on Twitter and Instagram. We love seeing what is being shared from Loud Libraries everywhere! 9. You will also find lots of ideas being shared on the Padlet, Let’s Share Our Ideas For Using Cantata Learning Books and Music In The Library, Classroom, and Home. You will find lessons, videos, photos, projects, and so many ideas for using Cantata. Please feel free to share your ideas on the Padlet here too. 10. And last but certainly not least… Cantata Learning is the perfect partner for PebbleGo, Capstone Interactive, and other products from Capstone like pivotED. You can always find a way to tie in the Cantata Learning stories and songs with the learning, exploring, researching, and creating that takes place with all of the special Capstone products. As you celebrate these special library events this month, make it even more memorable by checking out (and trying out!) 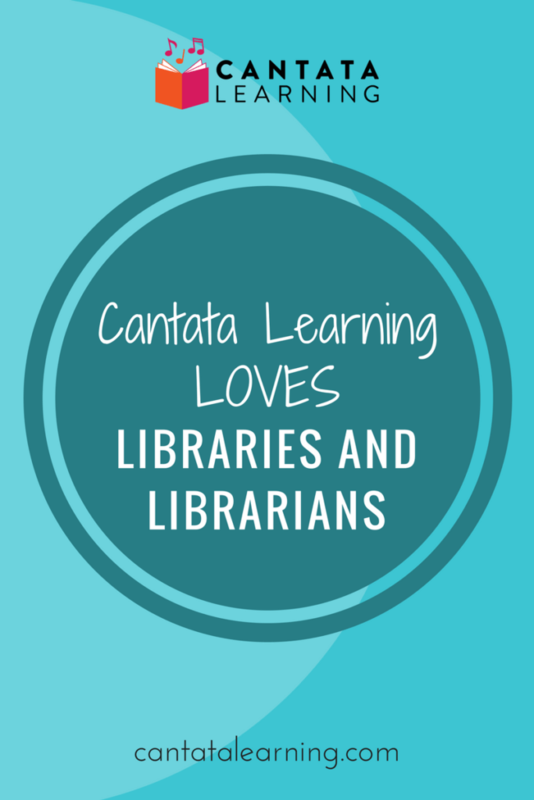 these 10 ways Cantata Learning loves libraries and librarians. Happy School Library Month and National Library Week everyone!